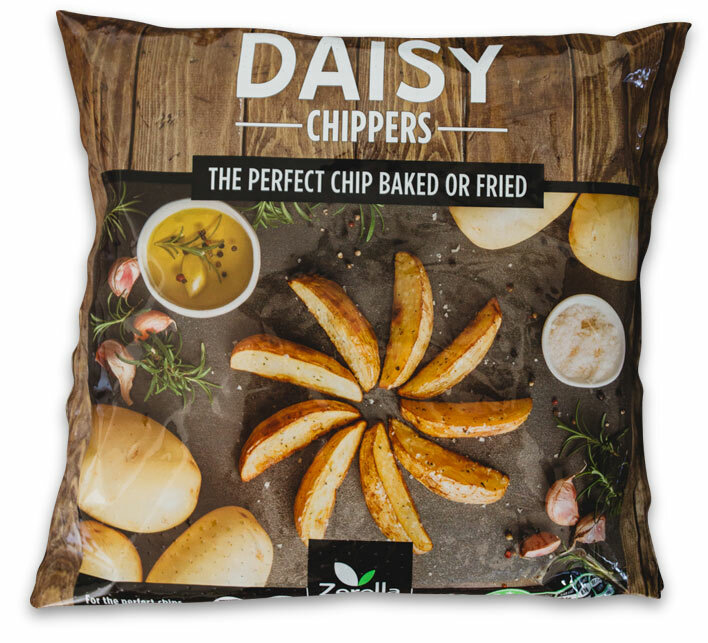 DAISY CHIPPERS is a potato variety that provides you with the perfect chip baked or fried. Daisy is a variety of potato that has consistently shown a perfect result for chips or wedges when baked or fried. When cooked, Daisy offers that great creamy potato taste along with a crisp, crunch outside. Along with this great taste and texture Daisy is packed with carbohydrates to provide for your daily energy needs as well as a vitamin and mineral boost for your body. Daisy is the vegetable you should add to your needed 5 serves. Daisy is grown on the Pye family farm in the heart of the Mallee Region as well as the Adelaide Plains using environmentally sound farming methods with the latest technology. Daisy Chipper potatoes are now available at Coles and Foodland supermarkets. Ask for them at your local supermarket.